Complete renovation of wonderful Cherry Hills Village ranch style home. Spectacular light and open layout offers easy single level living. The entire home is being renovated in a contemporary farmhouse style and all details have been considered. The completely new chef's kitchen features new Viking and Thermador appliances and gleaming Caesarstone counter tops. 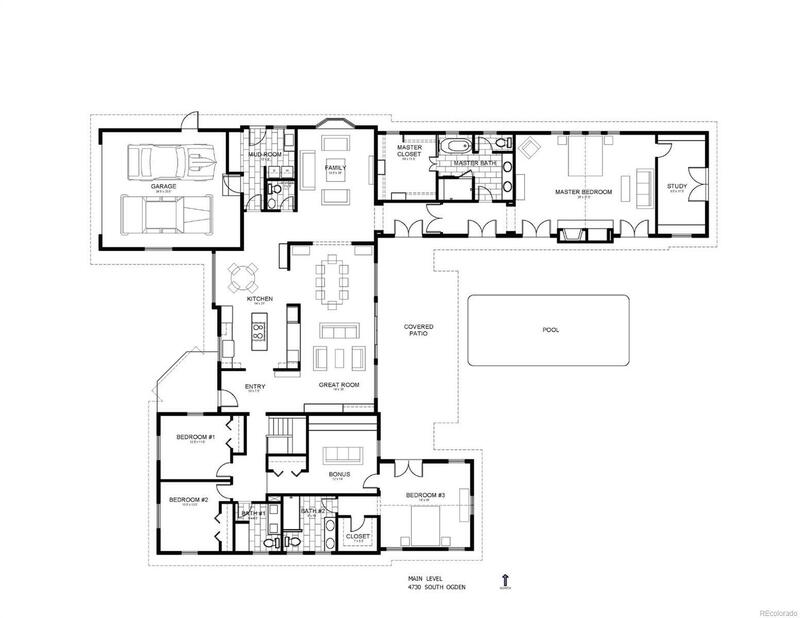 The kitchen opens to the spacious family room, living room and dining room. The master suite is to die for with a brand new master bathroom and a private study. There are three large bedrooms and two additional full bathrooms as well as a mudroom and laundry room completing the main floor. The basement includes a spacious rec room and plenty of storage. ALl systems are new including new HVAC and new water heaters. The home is built around a beautiful courtyard complete with an outdoor fireplace, eating area and a pool all on gorgeous treed acre lot in the coveted Old Cherry Hills neighborhood.